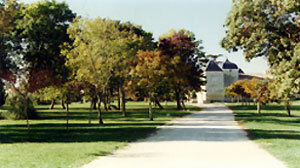 Bonnemie Castle Park : The town council bought the castle, situated north of the village, in 1981. The one ha park has become a social place for meetings and promenades. It contains ornamental and forest trees most of which were planted at its creation. It also enjoys two ponds housing a varied flora and fauna. Every day, free and gratuitous visits.